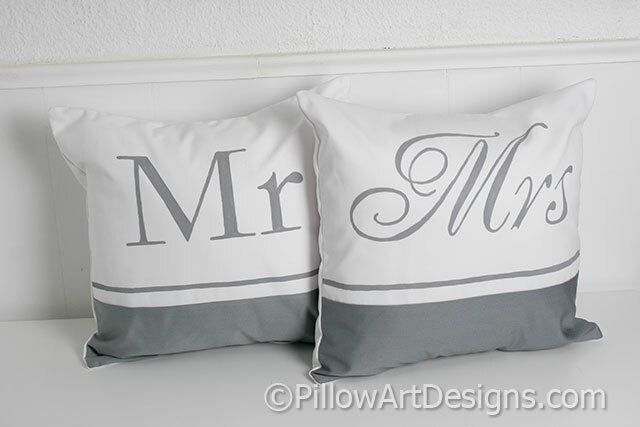 Great gift for couples celebrating engagement, wedding or anniversary (especially 2nd anniversary 'cotton'). 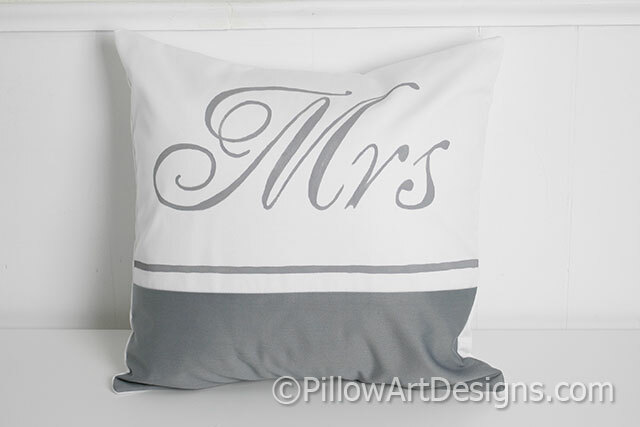 Couples pillow covers Mr and Mrs, grey and white cotton polyester twill, fully lined with white cotton polyester. 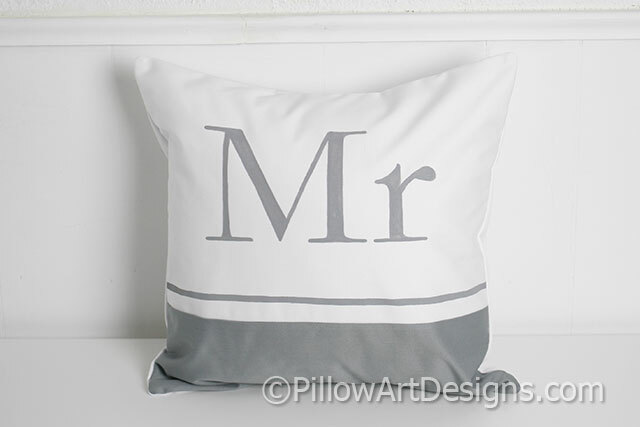 Mr pillow done in grey block font, Mrs done in grey script. 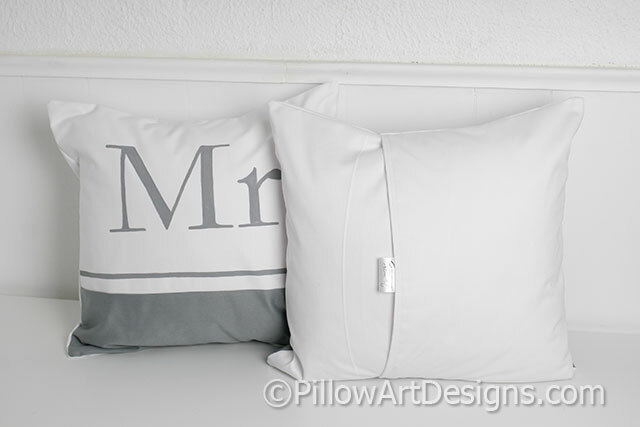 Covers have grey block panel at bottom front, thin grey stripe painted above. Ships in a box, wrapped in tissue.